CARBONDALE, Ill. — Concerns over government use of eminent domain to seize private property for public use is the focus of a lecture next week at the SIU School of Law. The issue has recently been in the news as landowners along the southern U.S. border object to President Donald Trump building a border wall on their land. 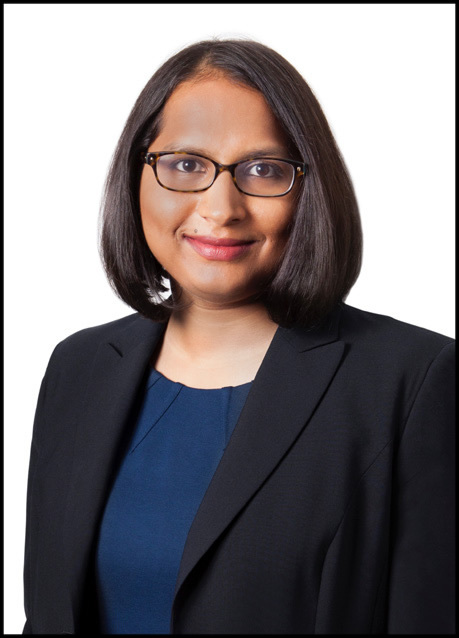 Shruti Rajagopalan will present the law school’s 2019 Gene and Katy Simonds Lectureship in Democracy on March 27. Rajagopalan’s lecture, “Property Rights and Property Wrongs: A Comparative Perspective,” begins at 5 p.m. in the Hiram H. Lesar Law Building Auditorium at SIU School of Law in Carbondale. The lecture is free, and the public is invited. A Q-and-A and reception will follow. While on campus Rajagopalan will also meet with law students and faculty. Reporters, photographers and camera crews are welcome to attend the Simonds Lectureship in Democracy with Shruti Rajagopalan at 5 p.m., March 27, in the SIU School of Law Auditorium. For more information or to arrange interviews, contact Michele Mekel, the law school’s director of external relations, at mmekel@siu.edu or 618/453-8768. Rajagopalan is an assistant professor of economics at State University of New York, Purchase College, and a Fellow at the Classical Liberal Institute at NYU School of Law. George Mocsary, assistant professor in the School of Law, said Rajagopalan’s lecture is timely and relevant to the ongoing conversation about eminent domain “that was kicked to the fore” by a 2005 U.S. Supreme Court decision involving a proposed economic development project in New London, Connecticut. In that case, the city proposed to seize 15 commercial and residential private properties and transfer the land to sell to private developers for the purpose of economic development and job creation. The plaintiffs argued the use of eminent domain to sell private property to private developers was not part of the public use clause under the Fifth Amendment. In a 5-4 decision, the Supreme Court ruled in favor of the city taking the private property and selling it for private development in hopes of economic development. Those attending the lecture will get a sense of “what this country should avoid in terms of eminent domain power and a sense of what is going on in other places in the world,” Mocsary said. He noted that the private developer was unable to continue with the project and that the land remains vacant. The property owner’s fight was developed into a 2017 movie “Little Pink House,” referencing a home that belonged to the lead plaintiff, Susette Kelo.